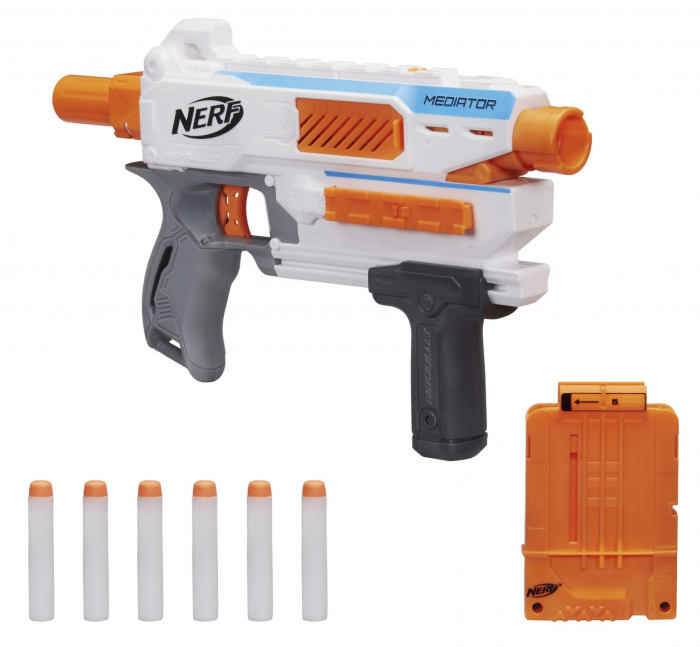 Home Hot Deals Nerf Modulus Mediator for just $6.98 (Reg. $24.99)! Nerf Modulus Mediator for just $6.98 (Reg. $24.99)! Note: Shop through eBates to get up to 10% cashback on this deal! Not an eBates member yet? Sign up here and then search for Walmart and click through and then purchase this item to get up to 10% cashback added to your account. Walmart currently has this Nerf Modulus Mediator for just $6.98!! This is regularly $24.99, so this is a HOT deal! « Better than FREE Poise and Stayfree Pads at Kroger! Previous articleGet two Baby Sloth Fingerlings for just $3.71 each! Next articleBetter than FREE Poise and Stayfree Pads at Kroger! Pop Sockets for just $8 shipped! LEGO Friends Drifting Diner Building Set for just $19.99! Maars Classic Insulated Skinny Tumblers (4 pack) only $8.76!